IPP350-11P1912A	 iPP350, Pin Pad, Color Display, PCI 3.X device, Non-Contactless, EMV, NFC enabled. Power supply and cables sold separately. Requires key injection in order to accept debit or credit card payments. Please call for more information. 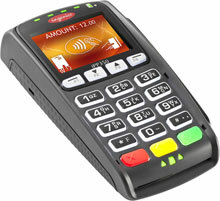 The Ingenico IPP350-11P1912A is also known as ING-IPP350-USSCN02A	or IPP35011P1912A	.